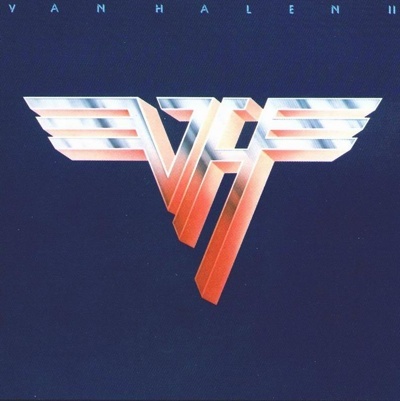 Van Halen’s second record was released in March, 1979. In January, barely 48 hours after the end of their first tour, the boys went back into Sunset Sound in Hollywood to work on Van Halen II. 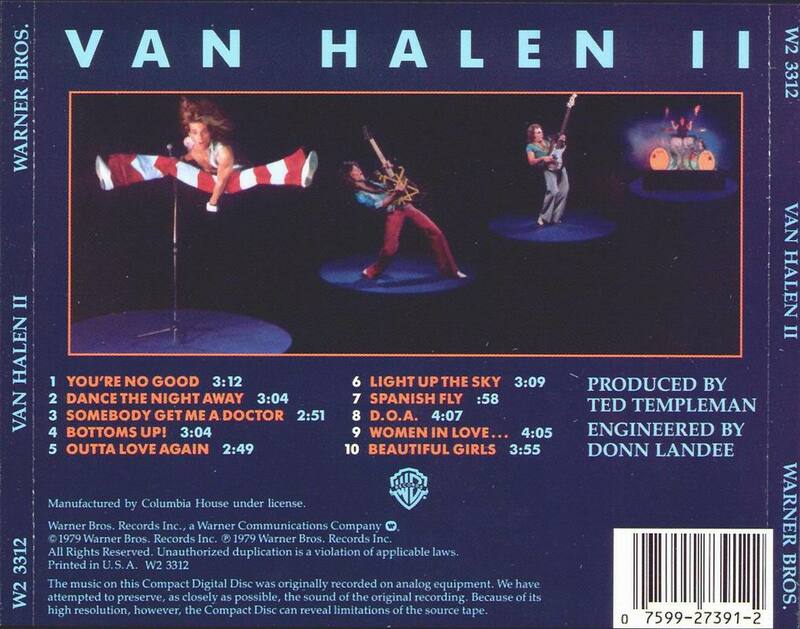 Ten days later it was finished, and again produced by Ted Templeman, who had worked wonders on Van Halen’s first record. Like its predecessor, instrumental overdubs were limited to just three songs. Except for one number written in the studio, Van Halen had performed the rest of the album on stage, some since the band’s club days. Another side note, David Lee Roth was wearing a plaster cast on his foot in the photo on the inside album cover, because he had actually broken the foot while making the giant leap pictured on the back cover. This album sold over five million copies and charted as high as #6 in the States and #23 in the U.K. Eddie also garnered his second Guitar Player magazine “Best Rock Guitarist of the Year” award.